A marketing plan is integral to the success of your health science business. While creating and executing a plan requires multiple techniques and vehicles and involves key stakeholders, an effective one gives you a solid foundation for your business. Here, we share a few ideas about what you need to create a plan that reflects your strategy and articulates your goals, priming you for a productive year ahead. Meet with your business development team and business unit leaders to review what worked and what didn’t. Identify what drove your successes and why it worked, and together determine how to meet next year’s challenges to promote your organization’s growth. Now it’s time to look at the financial picture. 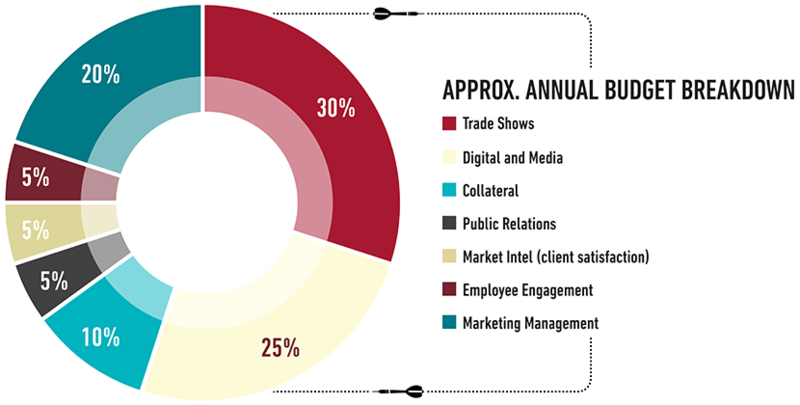 Start by analyzing the amount spent last year on marketing initiatives and tactics such as trade shows, digital, media and market research, paying special attention to the percentage each represents of your total budget. Evaluate this information alongside performance metrics such as website traffic and trade show lead generation to determine the value of your tactics. Focus on key performance metrics to identify areas for improvement and also to help you find new opportunities. For example, as you are looking at your trade show investment — which likely comprises your biggest marketing expense and requires months of planning for effective execution — you will want to consider any needed booth updates while also evaluating your ROI. Learn how to maximize your trade show ROI. Finally, use this information to build your budget, keeping in mind your overarching business goals. Take into account the tactics that have been most effective as well as the investment required for whatever scenario you face. As you start executing your marketing plan, remember that it should be a living document that you review throughout the year and adjust based on measured performance. Marketing is fluid, and digital marketing in particular is evolving rapidly. Maintaining a reserve fund can help you stay agile and quickly make data-driven decisions. Rebranding/new identity: Consider amortizing this investment, which lays the critical foundation for your brand and, ultimately, your success. Buyer messaging: New developments within your business or in the industry may not only influence the journey your buyers take but also your buyer personas, requiring you to revise messaging. Customer perceptions: Assess what your customers think of you and how you stack up against your competitors via client satisfaction and/or lost client opportunity surveys. CRM cleanup: Update your CRM to ensure that your contact database lends itself to an integrated marketing approach. Upcoming merger or acquisition: Set aside budget for announcements, communications and integrated materials; include brand update initiatives such as realigning messaging and differentiation as the new organization. Enterprise programs: Develop C-suite relationships (C-suite to C-suite) by delivering a solution your customers need and working to foster an environment of trust and partnership that trickles down. An initiative that can be part of the executive, BD or marketing plan, this program can help your organization build sales based on the relationships formed. It supplements an account-based sales and marketing approach rather than transactional. Learn how to leverage market research to make better, data-driven decisions. Though there are many aspects to your strategic marketing plan, you can partner with experts to make the tasks manageable. At SCORR, we are a full-service marketing solution provider with integrated programs to help achieve your goals and improve health and well-being worldwide. Talk to us today. Lea, who manages the client services team and the business development team across North America and Europe, goes the distance to make sure SCORR exceeds clients’ expectations. 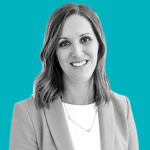 She applies her industry knowledge and experience to develop results-oriented integrated marketing programs that help clients achieve their goals. In her two decades within the industry, she has led numerous international marketing and sales teams while developing customer and market strategies and translating customer needs into tangible solutions.